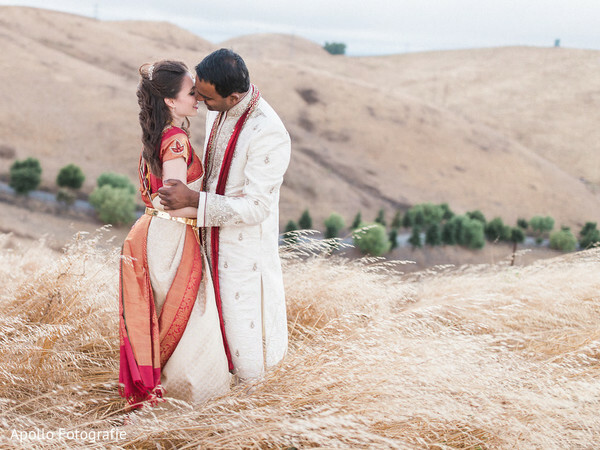 Fusion weddings are always affairs to remember and Adriana and Vikas' is surely one to remember thanks to the creative imagery shared to us by Apollo Fotografie who registered the events and portrayed the unique couple! 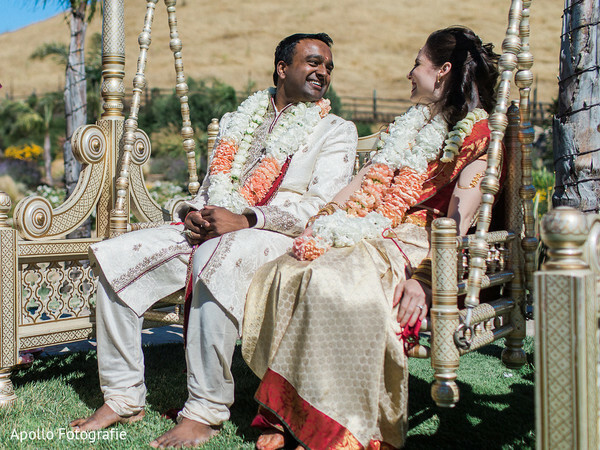 With a two-day fusion Hindu/American wedding at the picturesque grounds of Nella Terra Cellars. 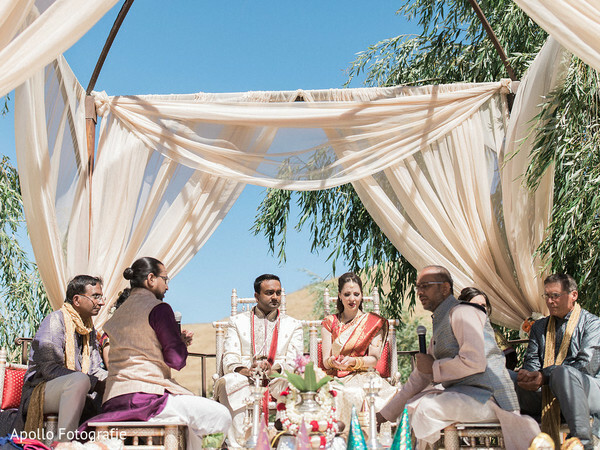 The first day bucked tradition from the beginning as Raja Vikas entered the ceremony venue in a beautiful decorated white horse from Vintage Carriage Company while KGS: Live Indian Entertainment enliven the procession. 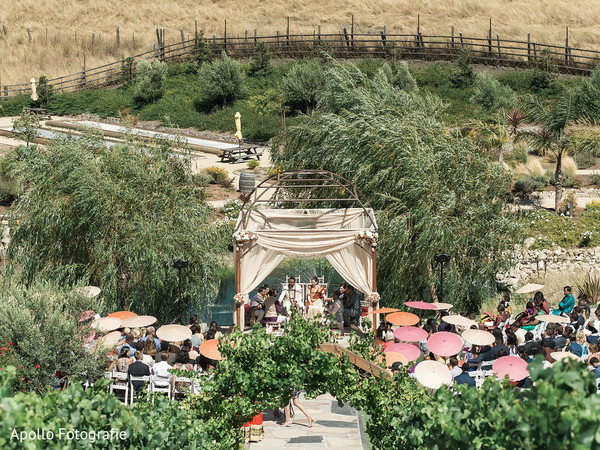 Overlooking the dreamy rolling hills, a wonderful gazebo with flowing cream drapes from R&R Event Rentals harbored the sacred marriage rites. 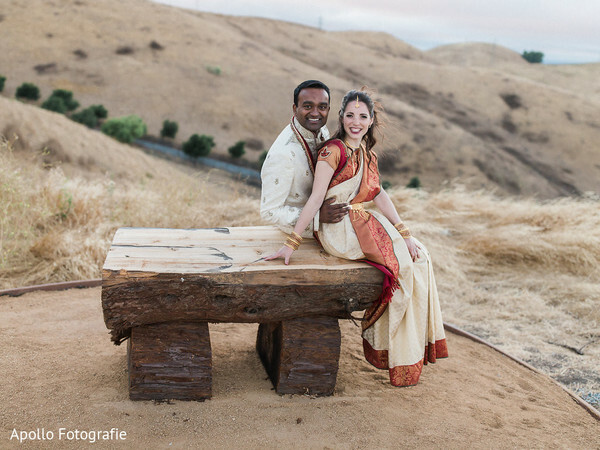 Lovely Adriana was bedecked with a deep red and cream silk saree and a marvelous golden waist belt which perfectly accentuated her silhouette, while a red lip applied by Hair & Makeup by Katye gave her a glamorous touch. The day concluded with a big feast where Vikas performed for his lovely wife! 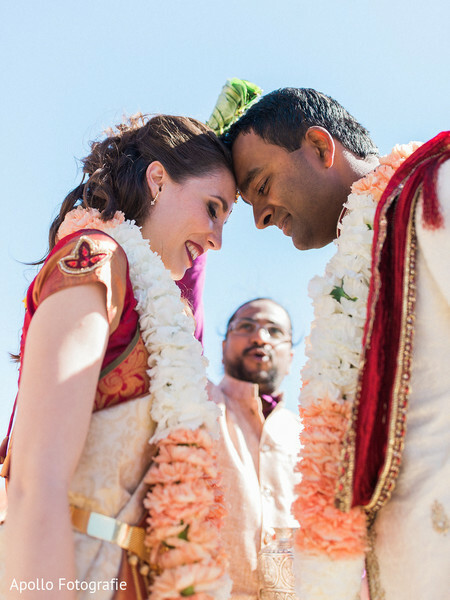 Peruse in our full gallery and see all the great images of today’s charming fusion nuptials! 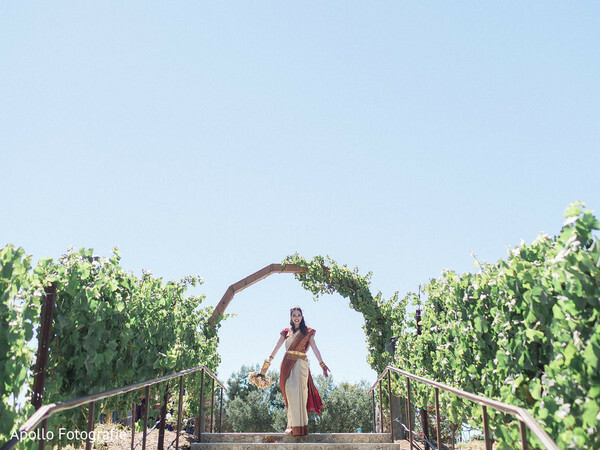 Two ceremonies are better than one! Wait for the western ceremony images shortly! 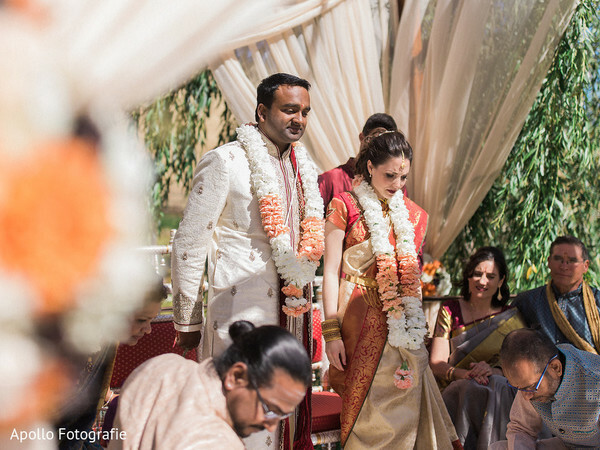 Kukoo G. Singh - Baraat Band, Vintage Carriage Company and Apollo Fotografie are members of the Platinum Guide. Love what you see? Explore their portfolios.